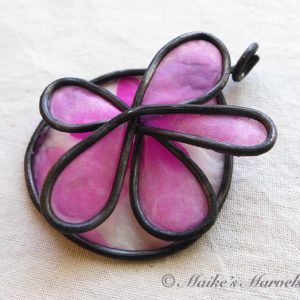 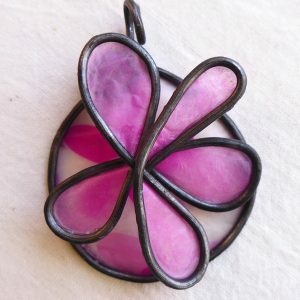 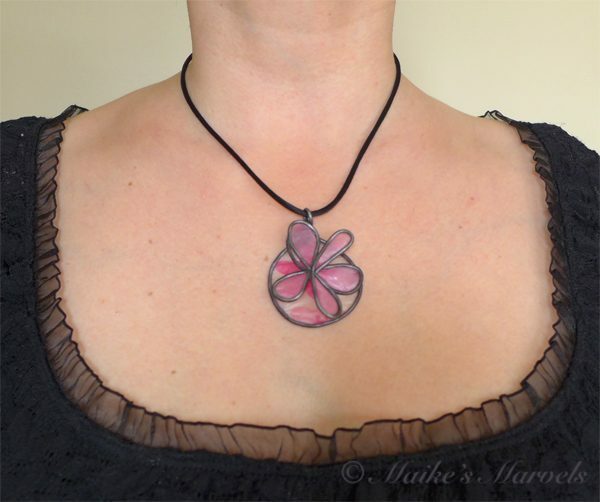 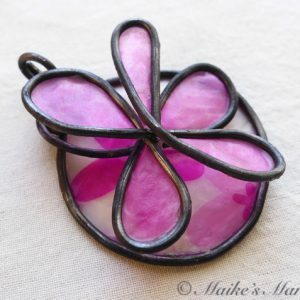 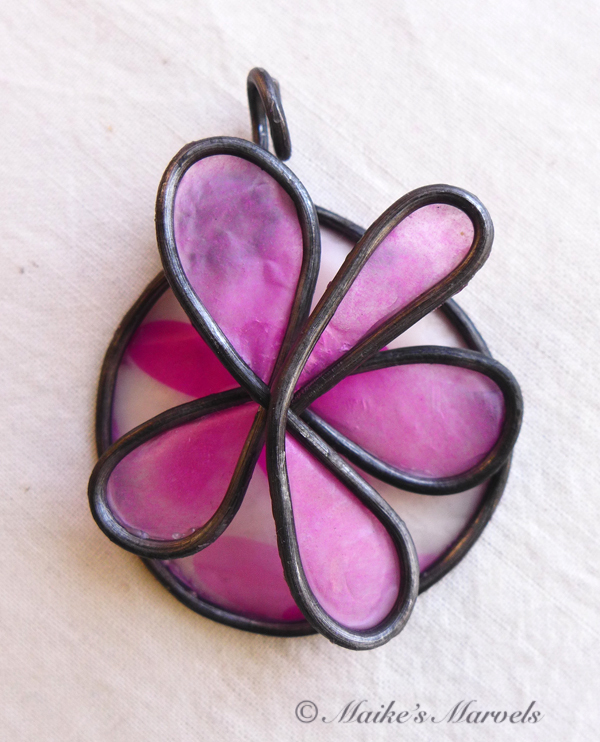 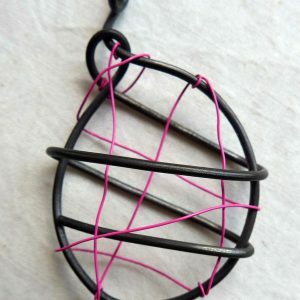 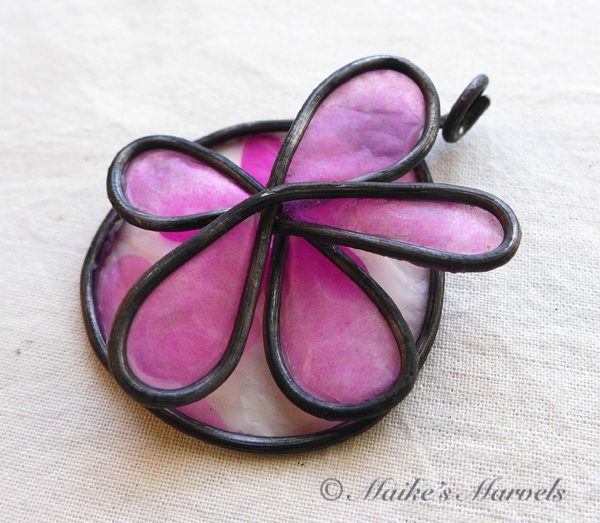 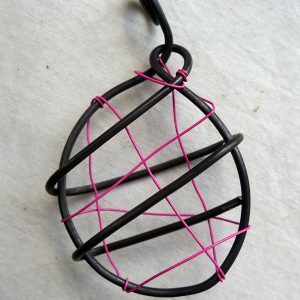 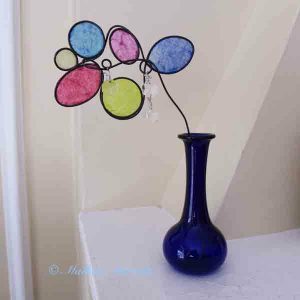 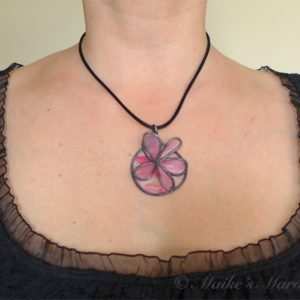 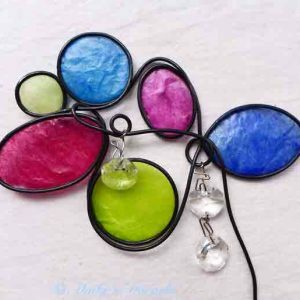 Bring in spring with this joyous pendant made from steel wire and waxed paper. 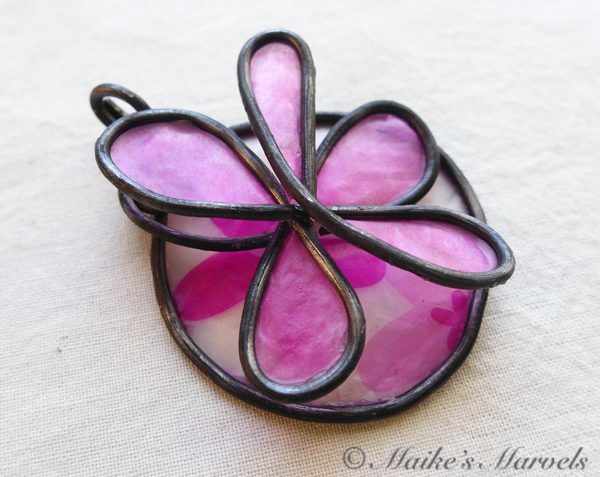 A lovely gift wrap served as the inspiration for this 5-petaled fuchsia flower. 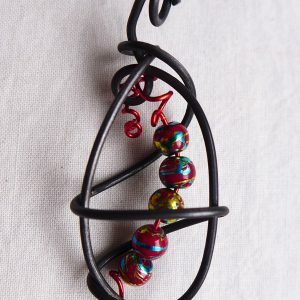 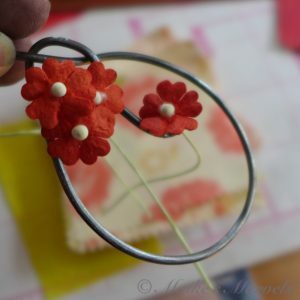 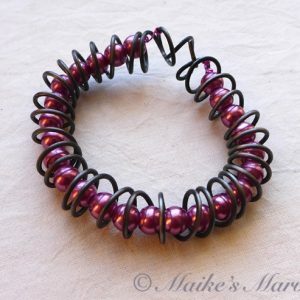 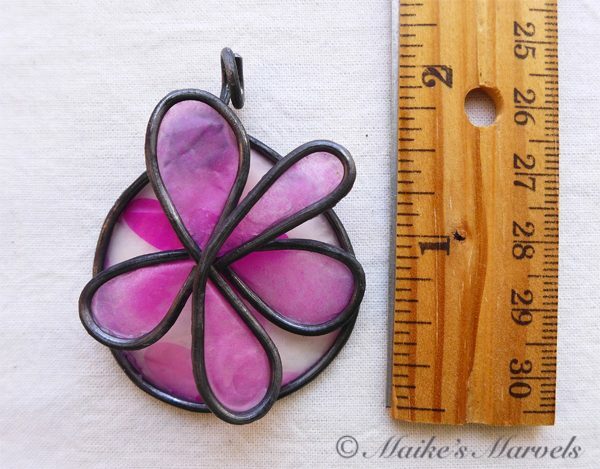 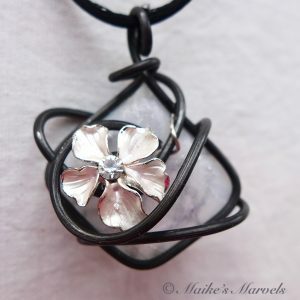 Industrial wire was hand-bent into a flower shape with a round background. 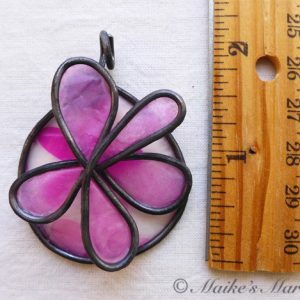 Each petal was hand-embellished with pink waxed tissue paper. 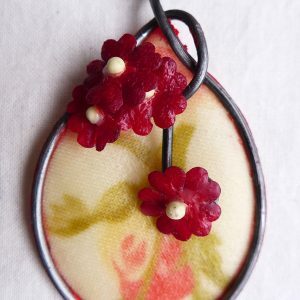 Then the inspirational floral gift wrap was dipped in beeswax and adhered to the round back of the pendant. 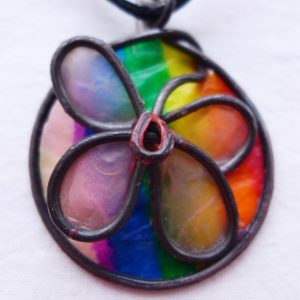 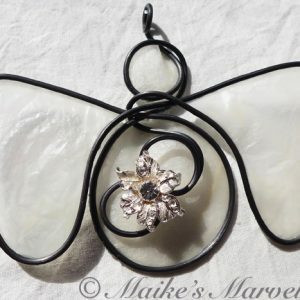 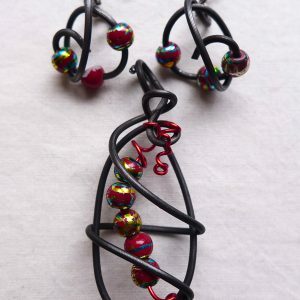 The lightweight pendant measures 1 1/2 inches wide by 2 inches long and comes with a black satin necklace cord.